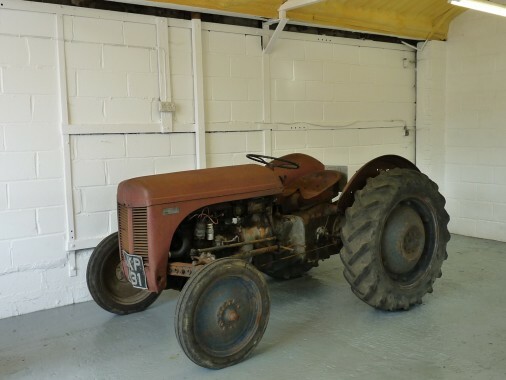 1947 Ferguson TE20 tractor, petrol/TVO engine, three speed gearbox with the starter on the gearlever. Chassis number TE3695. It was supplied locally by Lenfield Engineering Ltd of Maidstone and has stayed in the area since new. The last owner was a tractor engineer of forty years and he rebuilt the bottom end and the hydraulics. It has the correct early wheels, towing equipment and a working PTO.